Goodman Fielder's Freshbake division has unveiled plans to more than quadruple its digital budget in the next two to three years, off a base the company admits should be significantly higher. 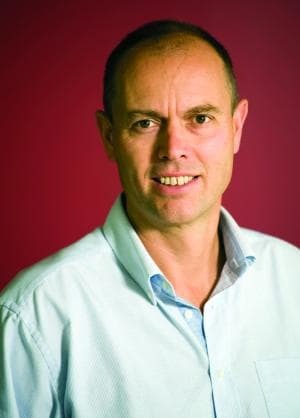 According to Goodman Fielder’s marketing director of Freshbake, John Broome, the FMCG giant’s baking division will increase its digital budget from 10% of its marketing pie to 40%. While Broome would not reveal the exact marketing budget of the Freshbake division, he did say Goodman Fielder’s annual overall marketing spend is between $30 million and $40 million, and that the Freshbake division accounts for about 40% of Goodman Fielder’s multi-billion dollar annual revenue. This points towards an increase in digital investment of several million dollars over the next few years. Broome stated that given digital media’s relative cost-effectiveness compared to traditional media, there are plenty of opportunities to be leveraged. He said the company will not only be increasing the importance of digital, but will also be upping its overall marketing budget. While Broome would not comment on the exact increase in overall marketing spend, he said significant investment will occur in the coming years, with digital a core focus. Broome’s plans for digital investment follow a period of weak financial performance for the company. In the six months to 31 December, Goodman Fielder’s profits fell 76.9% to $21.5 million, down from $93.1 million in the prior corresponding period. Revenue for the company fell 3.7% to $1.3 billion. Some of Goodman Fielder’s strongest Freshbake brands include Helga’s, Wonder White, Nature’s Fresh and Mighty Soft. This article first appeared in the 23 March 2012 edition of AdNews. Click here to subscribe for more news, features and opinion.